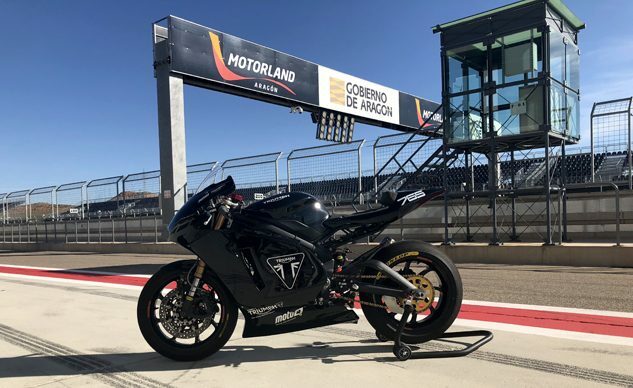 We at MO are pretty excited for the 765cc 2019 Triumph Moto2 Engine being used next year in the championship and the first major test has just completed in Aragon. 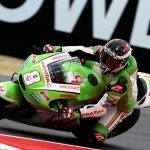 One step closer. 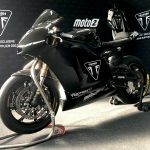 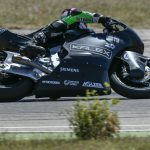 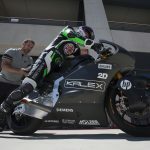 Triumph Moto2 Update – Chassis development testing at Aragon. 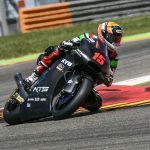 Today (Friday, June 22nd) marked the completion of the first major chassis and ECU testing with the new 2019 Triumph Moto2 engine on track at Aragon in Spain, home of the 14th round of the Moto2 championship. 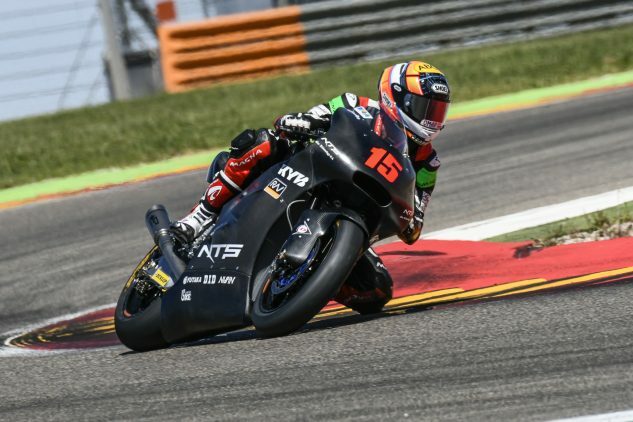 With three chassis manufacturer teams represented, Kalex, KTM & NTS, each crew were testing their new prototypes powered by the new 765cc Triumph triple engine, the sound was as you’d expect – truly hair-raising. The Kalex was ridden by championship contender Alex Marquez and test rider Jesko Raffin, the KTM by Julian Simon, 2009 125cc World Champion and Moto2 runner-up and test rider Ricky Cardús, and the NTS by experienced Moto2 and MotoGP rider Alex de Angelis. 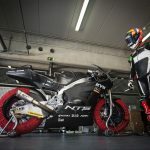 ”Today was the first time everything was in place to see what the whole new package could do, and the results have been incredibly positive. 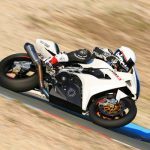 We are particularly pleased to see the new set-up already matching the lap times to the 2018 series bikes, in just 2 days of testing. 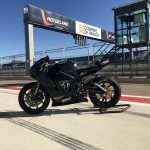 “It was exciting to see the new chassis and our triple 756cc engine together on track for the first time, and better still to see such a great first test result.